Bring a balloon to your event! A tethered balloon adds both fun and excitment to any event. With the Blue Ridge hot air balloon at your grand opening, company picnic, wedding, or special event, everyone involved can share in the adventure. Your guests will be thrilled with the opportunity to take a short tethered ride. With the balloon tethered to the ground, people can take rides in the balloon up to about 75 feet in the air. There’s no better way to attract attention to an event and please your guests at the same time. What do we mean by a “tether”? This simply refers to a flight where the balloon remains tied (or “tethered”) to the ground so that once inflated it remains at the launch site. It will still go up in the air, but only as far as the rope allows, typically around 100 feet. This type of setup is ideal for events, picnics, fundraisers, weddings, or other events where the balloon needs to remain onsite for the duration of the event. Our hot air balloon presents your business with one of the most unique and effective forms of advertising available. 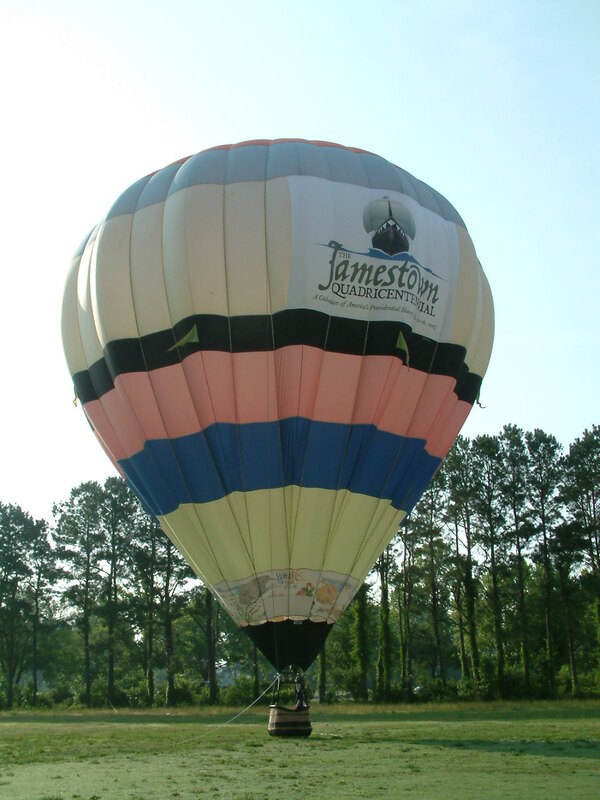 A 15’x30′ (or larger) banner on the side of the balloon proclaims your company name to everyone who sees it. With your logo on our balloon, anyone who sees the balloon will remember your logo and associate it with the excitment of seeing a hot air balloon.